So Linda and I headed to Northern MN for a couple of much needed days of R & R. We found a wonderful little cabin on Gunflint Lake (More on that later). I had visited this area in 1977. Linda had never been there before. This amazing area had been very influential on my life and I wanted to share a little bit of it with you. 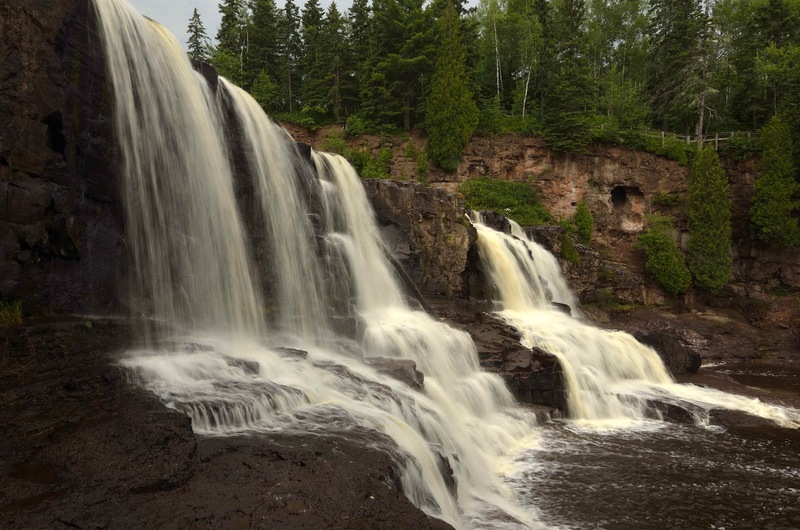 Gooseberry Falls - our first stop on the north shore. The river was flowing pretty well because of all the recent rains. Lots of people at the falls. Just waited my time for everyone to get out of the way. Tried a few hand held with the trusty 12-24. Thought this worked pretty well.